After three weeks of intensive searching, there is still controversy and speculation surrounding the disappearance of Malaysia Airlines’ Flight MH370 on March 8. A series of satellite images that appeared to show debris in remote areas of the southern Indian Ocean have not been verified by the recovery of wreckage. The latest possible debris identified by an Australian plane in a new search zone to west of Australia—orange objects that were described as the most promising lead to date—turned out not to be related to the missing aircraft. Ten days after MH370 went missing en route from Kuala Lumpur to Beijing, news emerged that Thai military radars had detected the missing plane changing direction toward the south-west. According to Thai authorities, this important piece of information, which could have been used to avoid searching in the wrong area for more than a week, was not passed on to Malaysian authorities because they did not ask for it. 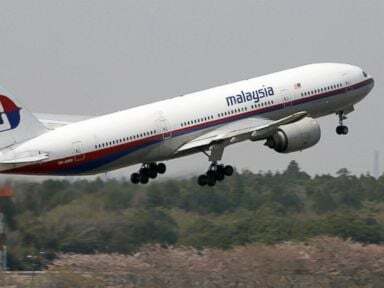 No explanation has been provided by Malaysian authorities for the failure of at least three Malaysian military radars to detect Flight MH370’s u-turn toward the south and the lack of any known attempt to contact the crew and question the change of direction. According to Hishammuddin Hussein, Malaysia’s defence minister and acting transport minister, an investigation is underway. Hishammuddin has refused to rule out the possibility that the entire search will be moved away from the current zone, about 1,100 south of Perth. After visiting Perth’s Pearce Air Force base on Monday, Australian Prime Minister Tony Abbott conceded that authorities in charge of the search are operating on limited information. Despite no wreckage being located, Abbott reiterated his support for the March 24 announcement by Malaysian Prime Minister Najib Razak that MH370 crashed in the Indian Ocean, killing all 12 crew and 227 passengers aboard. “I think that Prime Minister Najib Razak was perfectly entitled to come to that conclusion,” Abbott declared. In reality, geopolitical rivalries and suspicions have apparently led governments to withhold high-resolution images from military satellites and information sourced in other ways. The search for the aircraft is being used, particularly by Australia and the United States, to rehearse their ability to sustain extensive aerial surveillance operations in the Indian Ocean. The appointment of the former Australian Defence Forces chief, Air Chief Marshal Angus Houston, to head the joint search operations also points to the military, rather than humanitarian, character of the operation. According to Reuters, the Australian Department of Foreign Affairs and Trade has issued rules and guidelines for countries involved in the search operation since Houston’s appointment. No detailed information has been provided about the guidelines, but they are believed to include stipulations that any wreckage must be secured and handed over for investigation by the Malaysian authorities. According to the South China Morning Post, the Chinese government has flagged the possibility of using the failure to locate the plane to justify a significant expansion of its global monitoring network, particularly over the strategic waters of the Indian Ocean. On Saturday, Malaysian defence minister Hishammuddin said both the British MI6 and the American CIA are now working with their Chinese counterparts in the investigation. This renewed speculation that the plane disappearance is related to a terrorist act, rather than mechanical failure. One suicide scenario has centered on the MH370 pilot, Zaharie Ahmad Shah. After searches of his house, interviews with his family and an examination of a flight simulator that he possessed, Malaysian police dismissed any suspicions of Zaharie. Lurid speculation published by the British Daily Mail that Zaharie deliberately crashed the plane to protest against the re-conviction of Malaysian opposition leader Anwar Ibrahim has been categorically rejected by his family, friends, Anwar and other opposition politicians. A July 2011 cockpit fire at Cairo airport in a Boeing 777—the same model as MH370—involved a short circuit that ignited an oxygen pipe. After the Cairo accident, regulators ordered the replacement of the oxygen pipes, which cost $2,698. According to the Sydney Morning Herald , Malaysia Airlines refused to say whether it replaced the oxygen pipes. A company spokesperson said it complied with all mandatory orders issued by authorities.